Tomorrow, A New Month Is Coming. 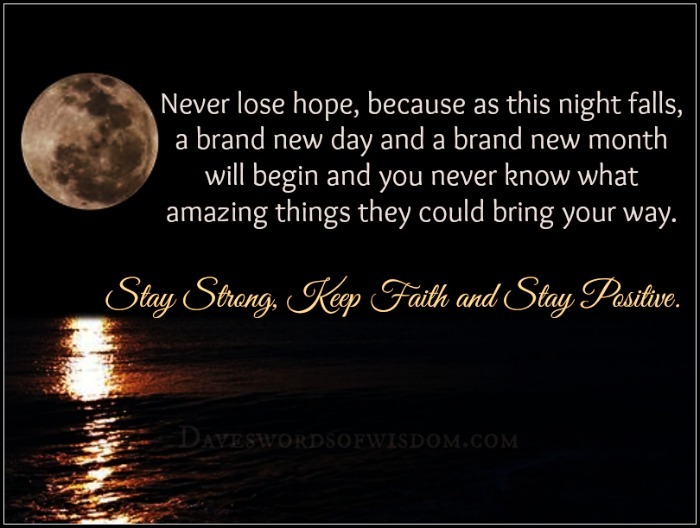 You have to share this positive message with Family & Friends. 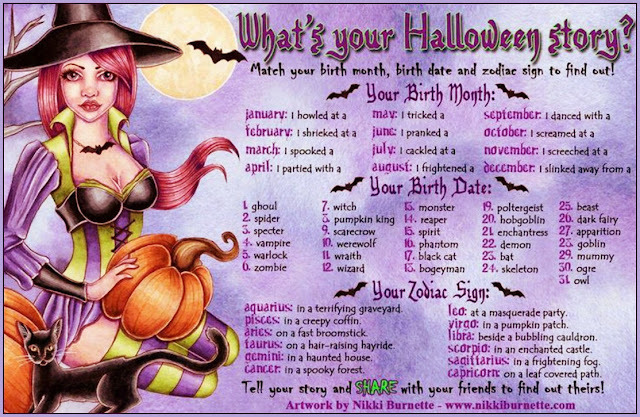 I really hope that November will be a great month for us all. 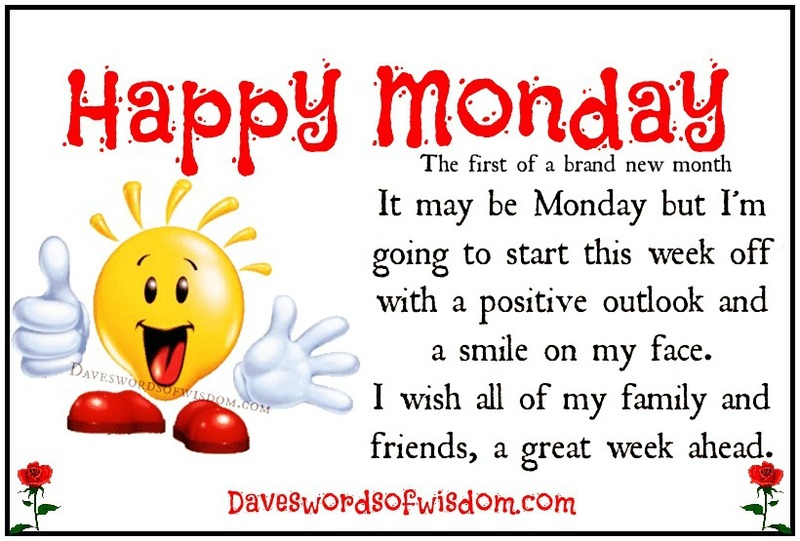 Wishing you all a Happy Tuesday. Just follow the instructions and see what name you come up with. 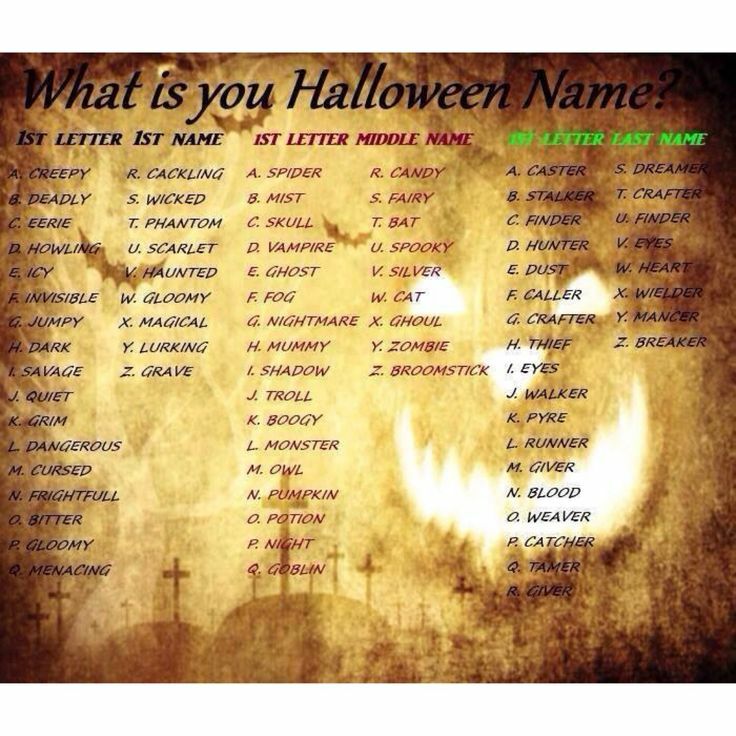 1st letter of your last name. 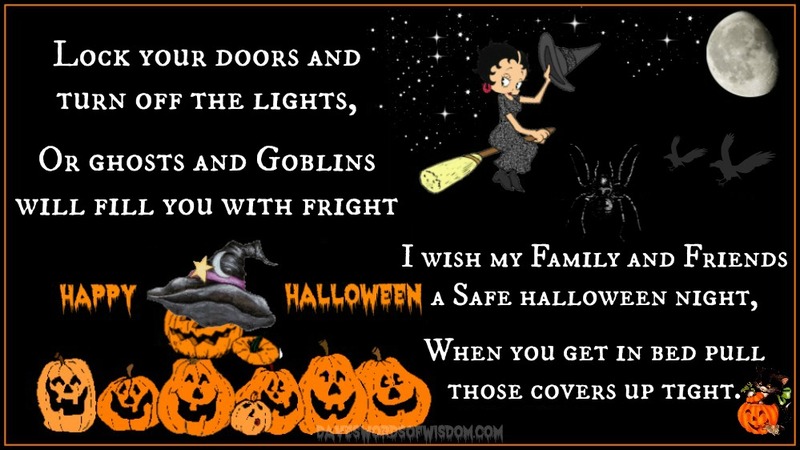 or ghosts and goblins will fill you with fright. when you get in bed pull those covers up tight. Have a very happy and safe Halloween. It's that time of year again, when we all struggle to remember if the clocks go forward or back. So here's everything you need to know about the autumn time change so that you don't accidentally arrive at work an hour early. This weekend! 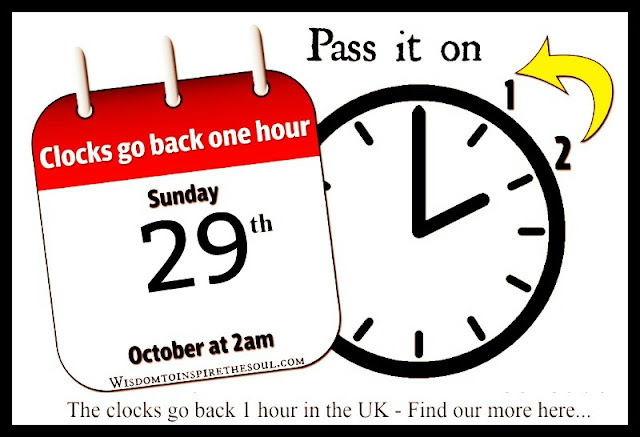 On Sunday, October 29 at 2am, the UK will revert to Greenwich Mean Time (GMT) by going back one hour, to 1am. This marks the official end of British summertime. A clever way to remember the hour-change rule is "Spring forward, Fall back". Easy! Will I get a lie in? Some of the brightest and swiftest shooting stars will bedazzle the night sky this month. 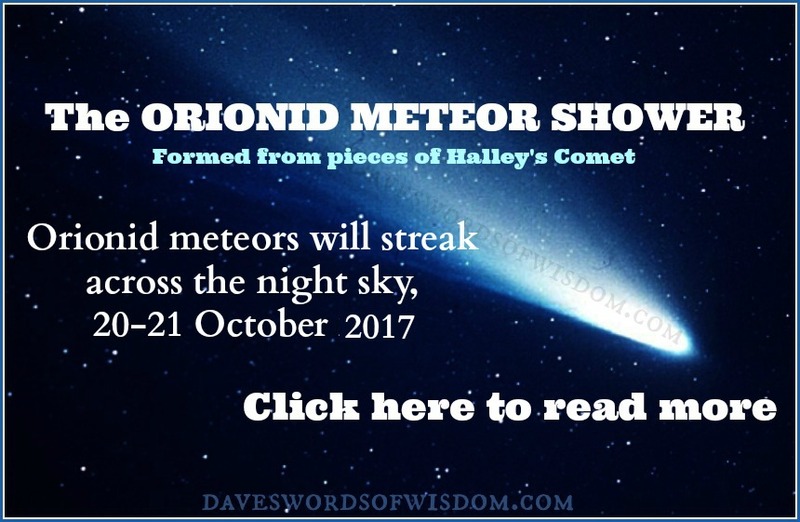 Orionid meteors will streak across the night sky as the shower is set to peak late this week, Friday and Saturday (Oct. 20-21) & will continue through early November too. 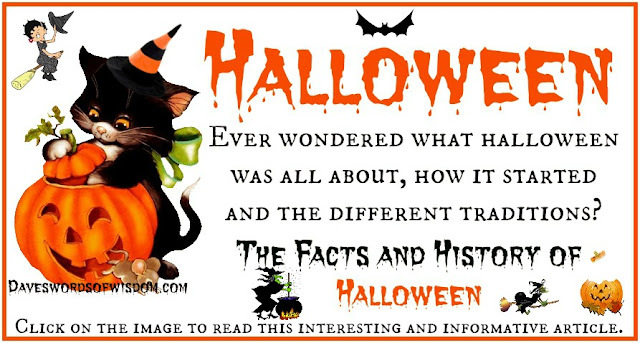 The History and Meaning of Halloween. Happy Monday. 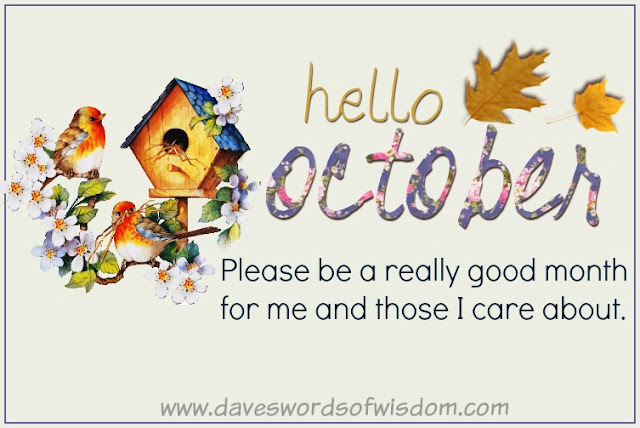 The first of the new month. Hello October - Please be good.